Over the next few days a large cyclone (low pressure system) will form over the Arctic Ocean, which will start to cause drastic changes in the sea ice in the area. This system strengthen winds to anywhere from 75-100 km/h over the ocean on Wednesday night into Thursday which will start to shift the ice in the area. Last August a similar system developed in the area which destroyed 800,000 square km of ice. This system looks even stronger than last year's, and much of the ice in the area is thinner first year ice, so there could be drastic changes in the Arctic sea ice over the next week or so. This system will also bring some weather on shore. Although the Beaufort communities (Tuktoyaktuk, Paulatuk) will see warm and quiet weather tomorrow, a cold front will cut through on Wednesday, significantly dropping temperatures and bringing in rain as well. 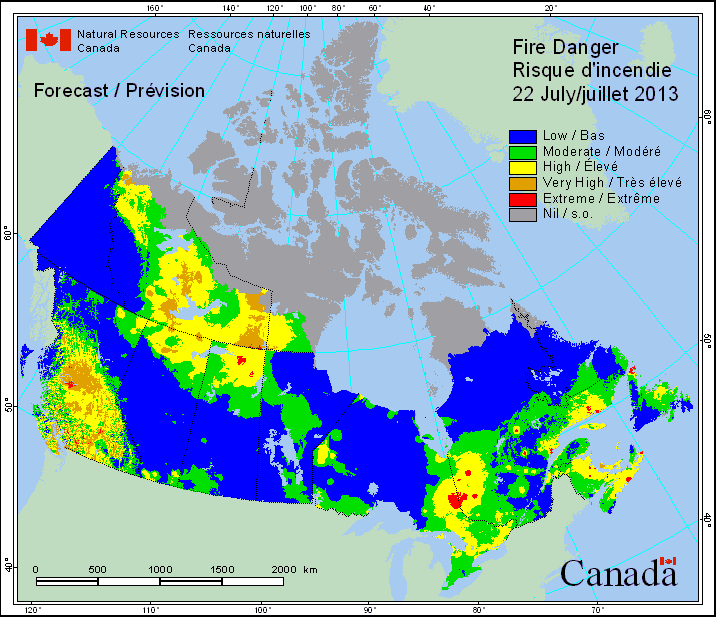 Elsewhere through the NWT, weather will remain fairly quiet, but with the hot and sunny weather in place, I'll be watching the fire risk as it elevates this week. Quiet weather day through Nunavut as well. A little windy this morning through the South of Baffin Island. Winds look to calm down tonight although cloudy skies will linger tomorrow. 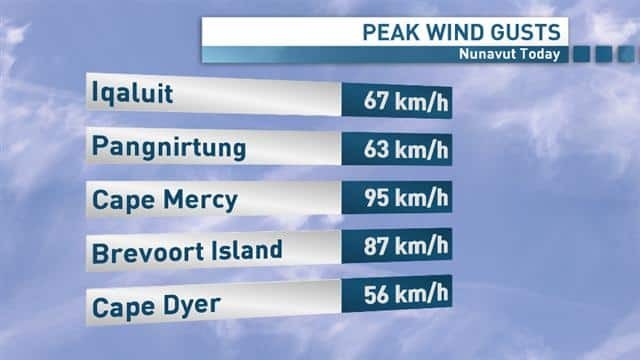 The Kivalliq will also see grey and cool weather tomorrow. By Wednesday, the sun will return and temperatures look to jump to the high teens/low 20s in Baker Lake and Rankin. The Kitikmeot will remain clear and mild through tomorrow. After a cold and rainy weekend, looking at more sunshine into most communities through the Yukon tomorrow. Temperatures will also start to recover tomorrow, back into the 20s for most southern communities...even warmer to the mid 20s in Dawson City.